The immune system is essential for the control and elimination of infections, and macrophages are cells that act as important players in orchestrating the various parts of the inflammatory/immune response. Amino acids play important role in mediating functionality of the inflammatory response, especially mediating macrophages functions and cytokines production. 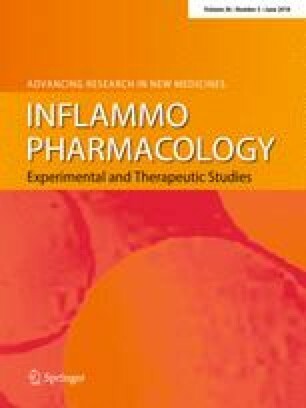 We investigated the influence of glutamine, taurine and their association on the modulation of inflammatory pathway markers in macrophages. The RAW 264.7 macrophage cell line was cultivated in the presence of glutamine and taurine and proliferation rates, cell viability, cell cycle phases, IL-1α, IL-6, IL-10 and TNF-α as well as H2O2 production and the expression of the transcription factor, NFκB, and its inhibitor, IκBα, were evaluated. Our results showed an increase in viable cells and increased proliferation rates of cells treated with glutamine concentrations over 2 mM, as well as cells treated with both glutamine and taurine. The cell cycle showed a higher percentage of cells in the phases S, G2 and M when they were treated with 2 or 10 mM glutamine, or with glutamine and taurine in cells stimulated with lipopolysaccharide. The pNFκB/NFκB showed reduced ratio expression when cells were treated with 10 mM of glutamine or with glutamine in association with taurine. These conditions also resulted in reduced TNF-α, IL-1α and H2O2 production, and higher production of IL-10. These findings demonstrate that glutamine and taurine are able to modulate macrophages inflammatory pathways, and that taurine can potentiate the effects of glutamine, illustrating their immunomodulatory properties. This work was supported by Fundação de Amparo a Pesquisa do Estado de São Paulo FAPESP (Grant no. 2016/16463-8). Rogero MM, Borelli P and Fock RA are fellows of the Conselho Nacional de Pesquisa e Tecnologia (CNPq).